Prove your skills at our minitables! 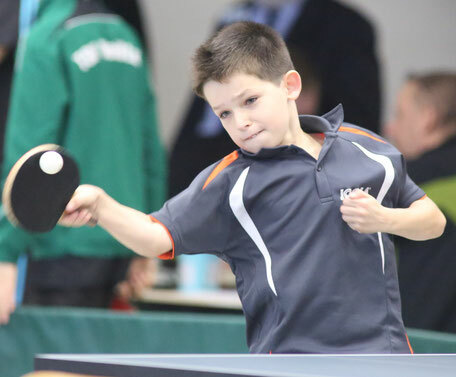 Beautiful hills and valleys and inbetween picturesque lakes: Our little Sauerland has a lot to offer and what better than to combine a visit with our favourite sport: Table-tennis. And as much of it as you like at the Sauerland-Open-powered by Sparkasse Arnsberg-Sundern. In the midst of Germany we have created a tournament that is basically the best of both worlds. The region provides entertainment and relexation on the one hand and on the other hand you can put all your energy into playing table-tennis. Between the 30th of May and the 2nd of June we present a diverse program at the gym. Among the many contests you will find an open men's-competition, as well as team- and single-competitions for both adults and the youth. We hope for a great weekend with a lot of fun and high-class athletic entertainment. A flyer with all the relevant information on competitions, times and places can be downloaded from our website!